This new faux-familiarity, in which a PR pro references specific details about the targeted reporter or blogger, is increasingly common. I actually attended a PR webinar recently that recommended a similar albeit more balanced approach. This sort of pitch is a reaction against the impersonal, generic emails that get blasted to huge lists of journalists who desperately struggle to keep them at bay and in their spam boxes. I’ve actually got an old email address from my days as a freelance editor that is now nothing more than a barren inbox of crappy press releases (currently sitting at 15,000 unread messages). It got so overwhelming that the only way to escape was to open up a new email account and update the dozen or so PR people I trusted with my new contact info. So what’s wrong with trying to bring a little familiarity to your pitch? Nothing, if you’re actually familiar with the reporter. That gets to the heart of the problem with the fake familiar pitch: it’s a way to cheat the important process of actually getting to know the people you’re pitching and the type of stories they’re looking for. Research: You’ve got to know who you’re sending your pitches to and what they write about, so research, from past articles to Twitter feeds, is important. We don’t do generic press releases that hit every media member in the state. We find the reporters who cover our topic and send them personalized, appropriate pitches. And by personalized, I mean we focus on angles relevant to their markets, not what they said on Twitter last week. Professionalism: Obviously, trying not to come off as creepy is important, but being professional goes beyond that. We’re trying to get journalists to see the value of the story we’re pitching, and to do that we’ve got to craft that story as close as possible to the way they would do it. That means solid headlines, attention-grabbing leads, inverted pyramid structure and AP Style. We want to make it as easy as possible for them to transition from a pitch or press release to a story. Developing relationships: The best way to avoid fake familiarity is to develop real familiarity. This is a time-consuming process that is developed through the techniques above. Once you’ve got it, though, it’s invaluable for delivering your message. I’m still Facebook friends with some of the PR people I used to work with as a journalist. In fact, one of my ex-co-workers ended up marrying one of her PR contacts. How’s that for making a connection? 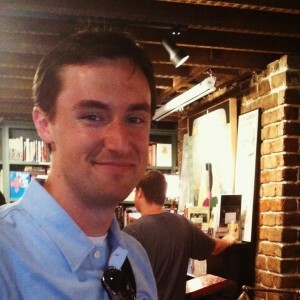 Chris Glazier is an Account Executive at Cookerly Public Relations. Chris provides writing, media relations and social media services for clients across a variety of industries. He is a former magazine editor, a Gator and an early user of thefacebook.com. Follow Chris on twitter @Chris_Glazier.